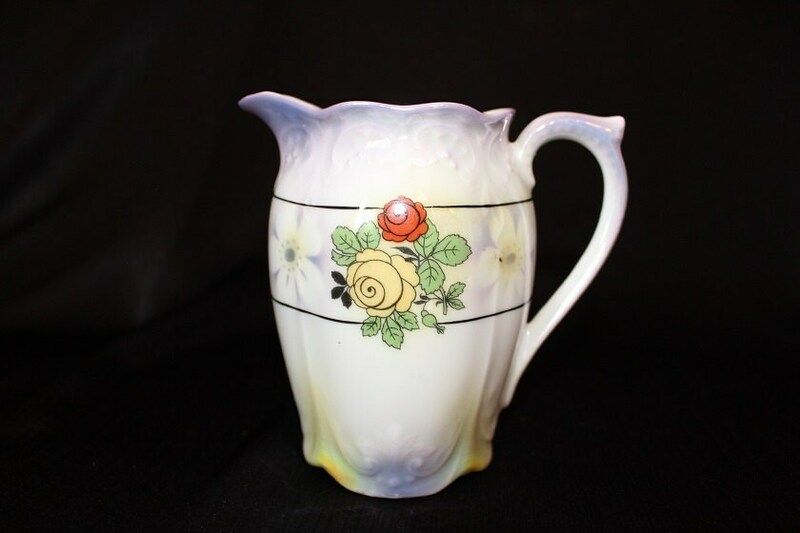 This creamer pitcher features hand painted yellow and red roses against a cream color. 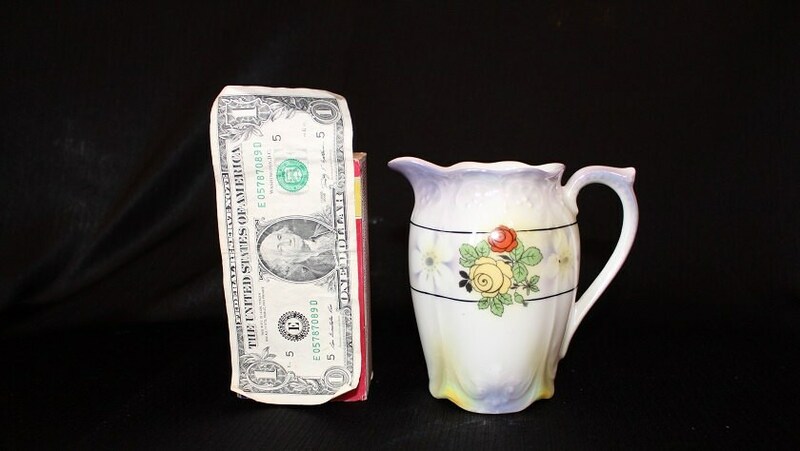 The creamer has a single red rose on one side. On the opposite side is a single yellow and red rose spray framed by two white flowers. 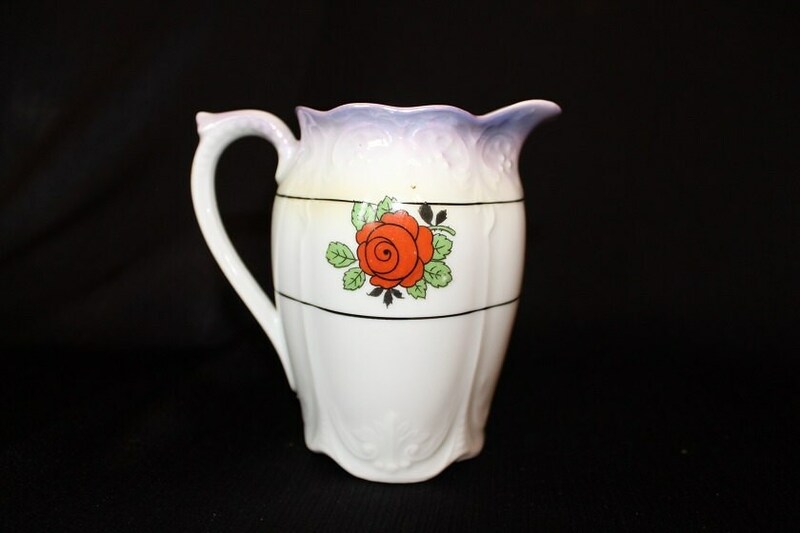 Two single black lines run around the piece framing the rose design on both sides. 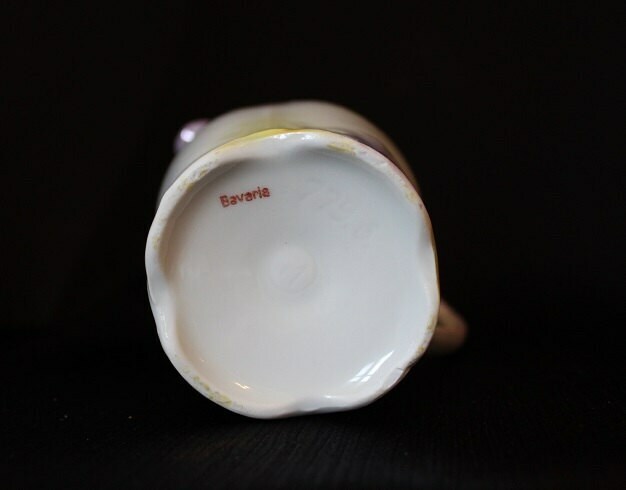 The scalloped rim is a purple/lilac color, and there is a raised scroll design under the rim and along the scalloped base. The purple/lilac color appears intermittently at the top of the hand and along the base. Beautiful display piece!